Whether it’s an air conditioning unit or a gas furnace, regular HVAC maintenance is a necessity, especially if you live in Michigan where summers are hot and humid, while winters are frigid and snow filled. To avoid costly HVAC repairs, it’s recommended you schedule preventive maintenance often to keep your appliances in check. However, in the event of an HVAC emergency, Applegate Home Comfort can help with our 24 hour HVAC repair services. When heating and cooling units falter, homeowners have every reason to be concerned. Given the aforementioned weather in Lansing and the rest of mid-Michigan, running into an HVAC problem after hours can be quite alarming, though Applegate will be there to help. In an effort to help keep you prepared when your furnace or AC runs into an issue, we’ve composed a quick guide to avoiding costly HVAC repairs. First, let’s take a look at some common causes of HVAC failures. Refrigerant Leaks: Refrigerant is necessary in AC units to cool the home. When refrigerant leaks, the unit can’t effectively cool the home. Leaks can lead to additional problems, so finding and fixing the leak is key. Dirty Filters: Though it’s an easy fix, dirty or clogged filters alter the efficiency of your HVAC system. Check the package on your filter and ensure you’re replacing it as often as suggested. Clogged Drain Lines: Drain lines of your AC unit can often become clogged with dirt or algae, which will cause water build up and leaks, leading to additional problems. Aging System: If repairs are growing more frequent, your AC or old furnace may need to be completely replaced. Learn when to replace a furnace here. Broken Thermostat: A range of HVAC issues can arise from a broken thermostat, and it could even run up your bill. In short, a broken thermostat affects the efficiency of your unit. Poor Preventive Maintenance: With the right contractors, preventive maintenance will help avoid all of the issues above. However, maintenance done by the wrong hands could pose more problems. Get it done right the first time around and call the professionals at Applegate. As you can see, there’s a variety of issues you can run into with your heating and cooling systems. Whether it’s a preventive service or emergency furnace repair, addressing the issue promptly is essential to your comfort. Simply put, HVAC repairs can become costly when your system is not properly maintained. Through regular servicing, you can help keep your systems running smoothly and count on Applegate when a problem does arise. Our expert staff is experienced in everything HVAC, including furnace troubleshooting and much more. Call Applegate for 24 Hour HVAC Repair Today! No matter what time you run into an HVAC issue, Applegate Home Comfort is here to help. 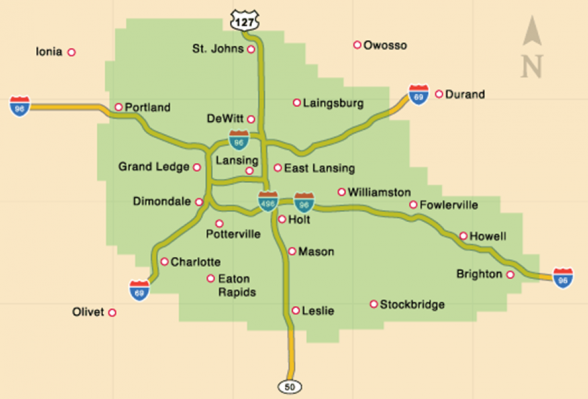 Whether you live in Lansing, Bath, or nearly any other mid-Michigan city, we can surely assist you. Give us a call at 517.337.7700 today for any HVAC need or contact us here.